PayAnywhere Point of Sale app is the solution you need to transform your business. Accept debit and credit card payments easily with our mobile credit card readers, manage your inventory, send invoices, and generate receipts, all through our free mobile app for iOS! PayAnywhere’s point of sale (POS) solution accepts magstripe, EMV chip cards, Apple Pay, Samsung Pay, and NFC contactless credit cards. PayAnywhere’s iOS POS app helps you keep track of your business with custom analytics, transaction details, inventory reports, invoicing, receipts, and more. The PayAnywhere POS iOS app and free web portal has everything you need to start a new business or run your current business and take it to the next level. 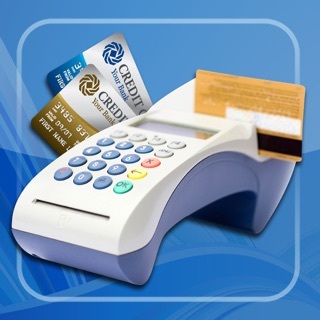 Our Point of Sale solution makes credit card processing a breeze, and streamlines your day-to-day operations allowing you to keep track of inventory, manage invoicing, view real-time transaction reporting, keep tabs on deposits, and even order additional credit card readers from wherever you do business. Signing up for merchant services is easier than ever with PayAnywhere’s online checkout. Get started today to take an innovative point of sale (POS) system anywhere you are. UX Enhancements: Moved the Help section and Manage Accounts to the main Menu for easier access. Offline Transactions: Capture receipt preference while accepting a payment offline. PIN Debit: By default, all transactions run as Credit. If you have a reader with PIN debit capabilities, enable PIN Debit in Settings -> Payment Types. New update is not easier. My day is filled with little stressors because my application and card reader do not connect. I have to log out of the app, log back in, and hope that it is connecting with the card reader. The new card reader is Bluetooth and the reliability is about 30% that it connects. I’m using an iPad. I put in manually half of the time because the card reader doesn’t work and I get flak when I call and tell them that it’s their software that’s the issue. I have to fight to get the percentage back for putting it in manually when it was their software that was the issue. There have been times when I haven’t gotten money back over this and I’m tired of the daily stressors. I’ve had this company for a couple of years and it is never been smooth. They try to hide the fees and don’t give out a monthly report. It’s very hard to find out how much they’re taking. My bookkeeping is clean I need reports, It doesn’t seem like they want to make my life easier… They’re more interested in hiding their fees from me. Hi abigailrose3. We’re sorry to hear about your experience. To help with the connectivity of your Bluetooth device, we have some troubleshooting tips that you can reference on our website (https://www.payanywhere.com/knowledge-base/equipment/bluetooth-payment-devices) and a list of supported devices (https://www.payanywhere.com/knowledge-base/general-info/supported-devices) that might be of assistance. We’d love to help you further, so please feel free to reach out to feedback@payanywhere.com and provide us your account number. We’ll be more than happy to provide any assistance you need. Thank you! The nice thing about PayAnywhere is the support you get from using the app. I used Square for three years until a sales agent approached me about using PayAnywhere. At first, I didn’t want to change because I was so used to Square but when the rep told me I didn’t have to pay the merchant processing fee anymore with PayAnywhere because it has a cash discount feature, I made the switch and couldn’t be happier. Not only can I call someone if I have an issue but I no longer have to pay the fee that Square charges which is well above the 2.75% they fraudulently advertise. Wish I had used PayAnywhere from the beginning! I have a large event sunday and haven't used my account in almost a year- so it kept giving me issues and i was unable to log in. I called a few times and got the uninstall and reinstall spiel. emailed— getting nervous I called again- I got sent to Customer Care then onto a Manager- without asking and understanding my urgency - he pushed it all through to IT and had in working within hours!!! I am ever so Thankful for their customer care and him for helping me!! each time I received an email trail, of why i called and what they suggested- which I liked! GREAT JOB! This Client is Happy!! !